One of my biggest online pet peeves is when people don’t properly credit photos. (I’m sure you’ve realized this any time I mention tumblr on here.) It’s especially frustrating when I want to share a photo on Four Leaf Clover and can’t track the image back to the original source. My life just got a lot easier thanks to TinEye. 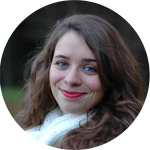 TinEye is “the Google of images”. 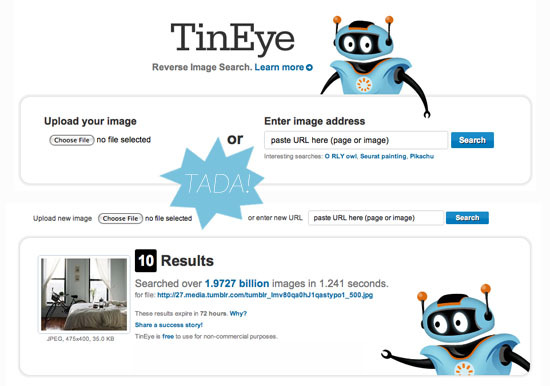 You just put in a link to a photo or upload an image from your computer, and TinEye does the searching for you. It doesn’t always find any results because, according to the site, their site hasn’t scanned the pages that have the image you’re looking for yet. When it does work, though, it’s a huge help! Take this image (shown above) for example. I found it on The Pursuit Aesthetic‘s tumblr page and couldn’t find it no matter how hard I looked. I put in the image address into TinEye’s search and came up with these 10 results, including the original. Check out the video below and the site to find out more and have fun searching and finding!